NEW EQUIPMENT 2016 _ Frima Funéraire’s stretchers with an intermediate position can be used at the same height as funeral tables. 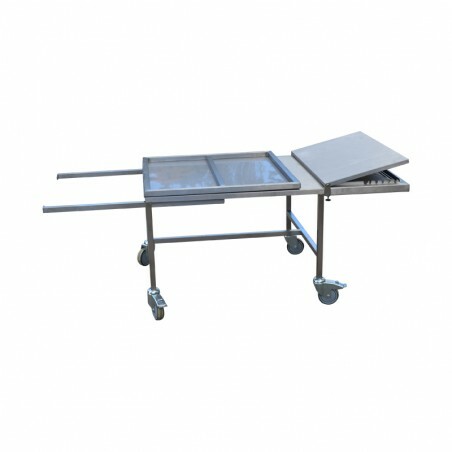 Each operative can now transfer bodies easily and alone in an ergonomic position. Our new stretcher with intermediate position has been developed by our design office and responds to the request of many professional of bodies’ transport. It makes it possible the transfer of bodies in hospital, retirement house or burial chamber. 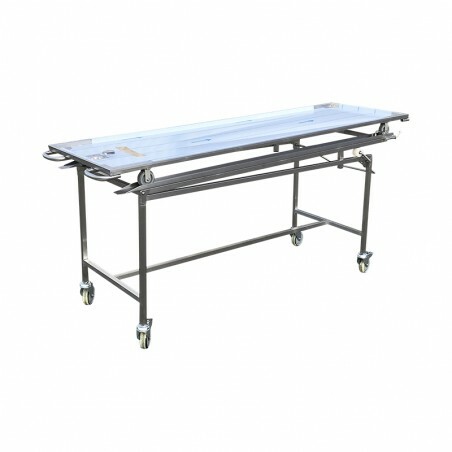 The funeral operator has to put the stretcher at the same height as funeral or presentation table / bed then he has to glide the body. To maintain the body, we provide 2 straps with a buckle like “safety-belt» and a foot stop. 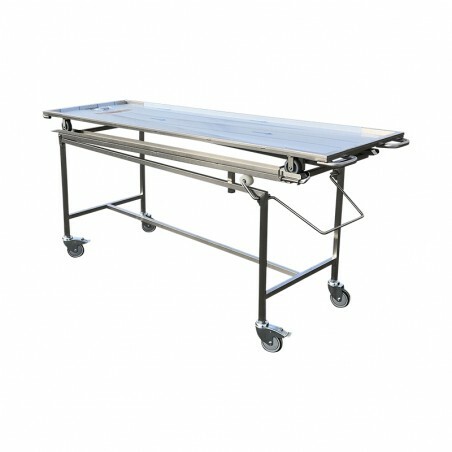 This stretcher model was enhanced with larger tube sections and a 4-point locking. 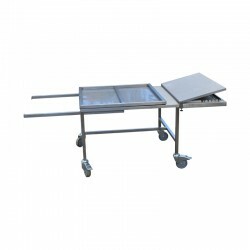 Two models are available: for one body compartment (55 cm of width) and for two bodies compartment (48 cm of width). It is suitable for FRIMA Funéraire’s compartments which are referenced by the main funeral coachbuilders in France. 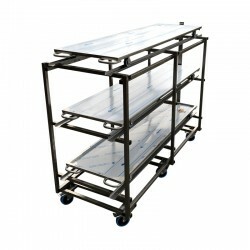 As our standard stretcher, it is equipped with 4 wheels of 150 mm, 2 of them are pivoting. 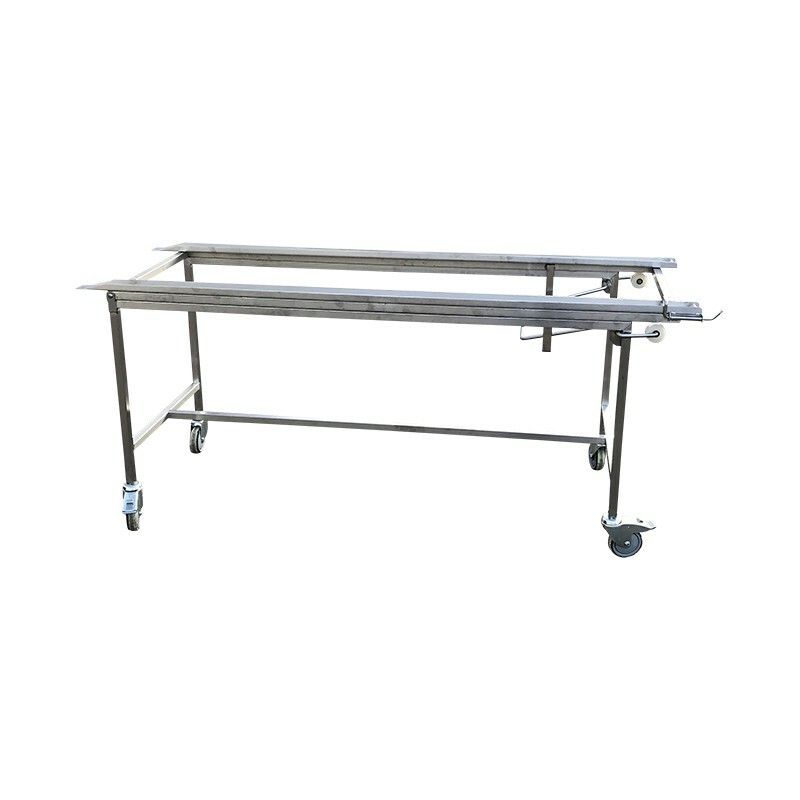 The legs are positioned so as to ensure extreme maneuverability of the carriage even in cramped places. 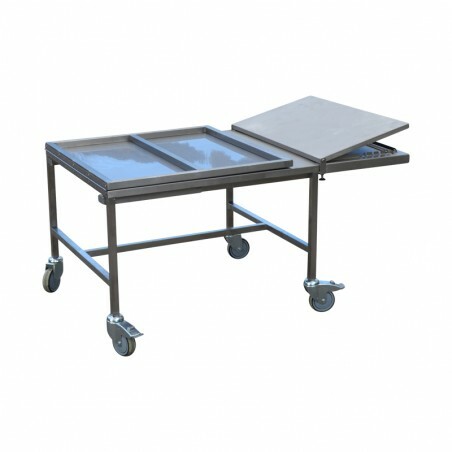 4 fixed independent wheels of 80 mm ensure the bearing inside of the funeral compartment. 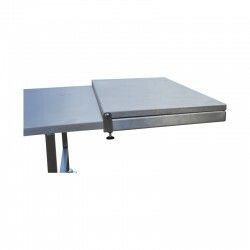 The folded height of 210 mm allows you to leave the maximum space for the body. The intermediate height of 580 mm is the same as the various funeral tables manufactured by FRIMA Funéraire.